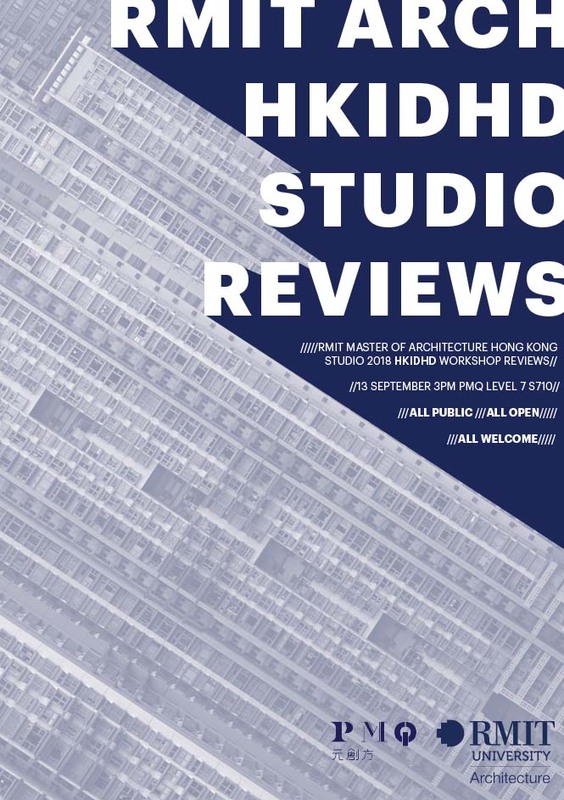 You are invited to the final presentation of the 2018 Hong Kong Design Studio workshop led by RMIT Architecture staff members John Doyle & Vicky Lam. Students from RMIT Architecture have been based in Hong Kong for a 10 day intensive workshop exploring the historical evolution, context and urban structures of Hong Kong. The studio is exploring manufacturing and production as a component of high density urban environments. Manufacturing and making has traditionally been a component of diverse mercantile cities such as Hong Kong. The shift towards mechanised large scale production through the 20th century has resulted in a decline of many of the artisanal and traditional ways of making that occurred as an ad hoc component of the city. In the 21st century, mass models of manufacturing are themselves progressively becoming obsolete, with new technologies and full automation changing the way things are made. More and more it is possible for manufacturing and production to occur again in close proximity to urban centres. The studio will be tested through the design of a vertical ‘innovation district’ which incorporates processes of making, manufacturing and research in a single mixed use complex, in a high density area of Hong Kong, which provides a unique set of challenges. The reviews are open to the public.